"We are so blessed to have the time we did get with her." 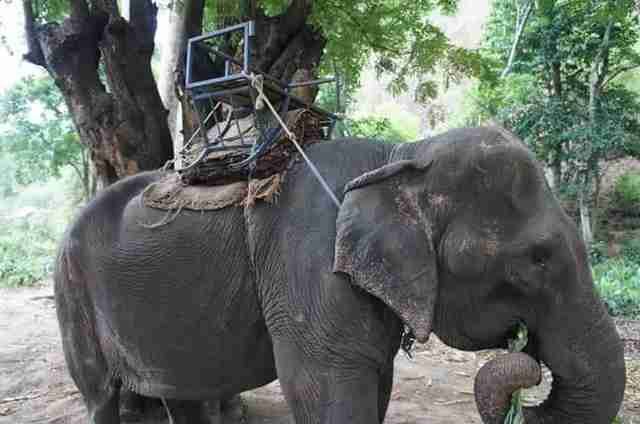 At first, some people didn't understand why anyone would bother trying to save a 70-year-old elephant from the elephant ride industry. 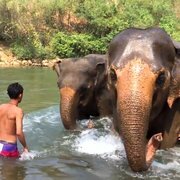 "There were a couple of people that made the passing comment that we were wasting our time and energy, even making the suggestion we should help younger, healthier elephants that would live longer," Emily McWilliam, cofounder and manager of Burm & Emily's Elephant Sanctuary (BEES) in Chiang Mai, Thailand, wrote. "We knew we had to help her." 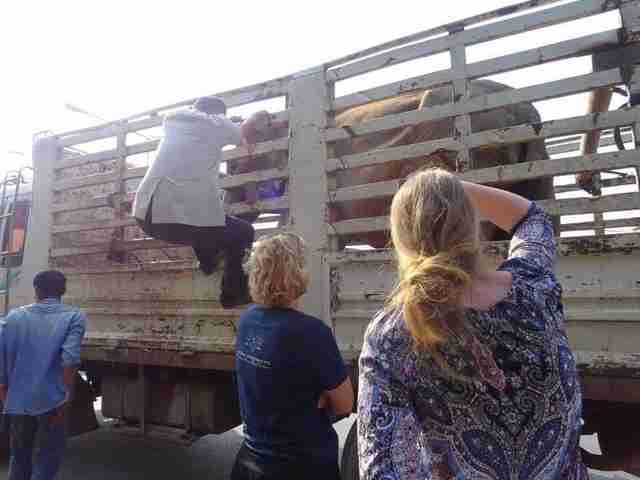 But over the last few months, Mae Mor has experienced how pleasurable life can be, finally free from coercion and abuse, showing that all the effort to save her was well worth it. Those months ended up being the last she spent on Earth. Even though she passed away last week, she finally got the life she deserved. 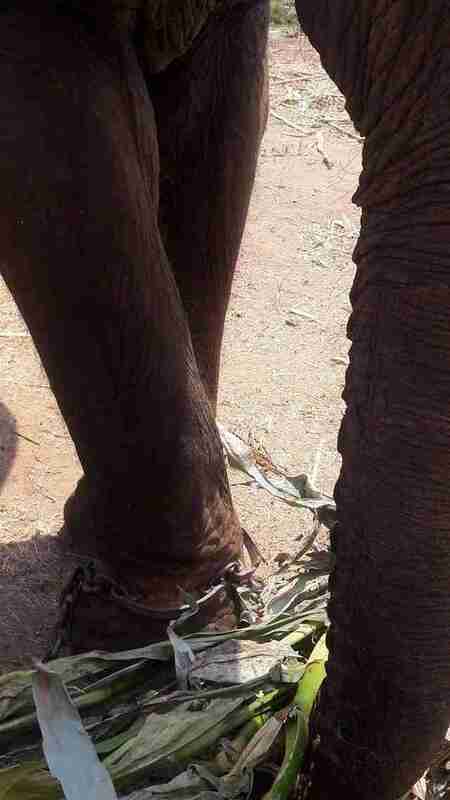 Where before Mae Mor had been chained up in a hot field with a spiked metal bracelet around her foot keeping her in place, at the sanctuary she learned what it was like to roam through lush forests and spend the days relaxing in the shade. When she arrived at the sanctuary back in March, Mae Mor couldn't initially understand her newfound freedom. 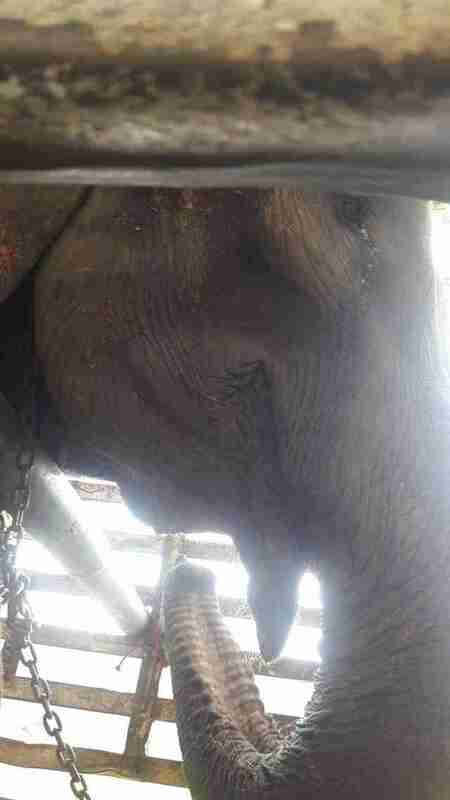 "For the first time, this sweet, frail, old elephant was able to be chain-free and had the ability to make her own choices and just be an elephant," McWilliam wrote. 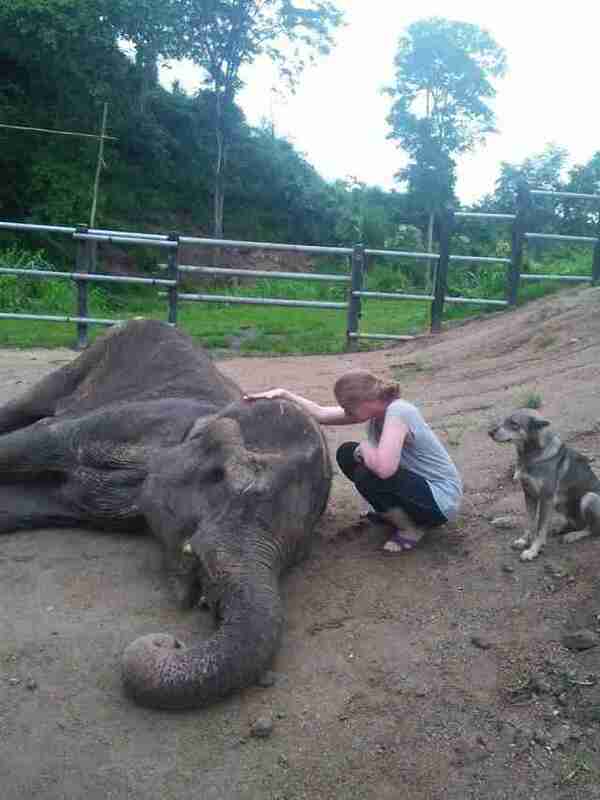 For the first three weeks at the sanctuary, Mae Mor was too afraid to explore. "Her enclosure became her safety net and despite leaving the gate open for many days she stayed inside the enclosure," McWilliam wrote. "After about three weeks she started to build the confidence to investigate past her enclosure and soon after was going out on forest walks and exploring the grass fields. 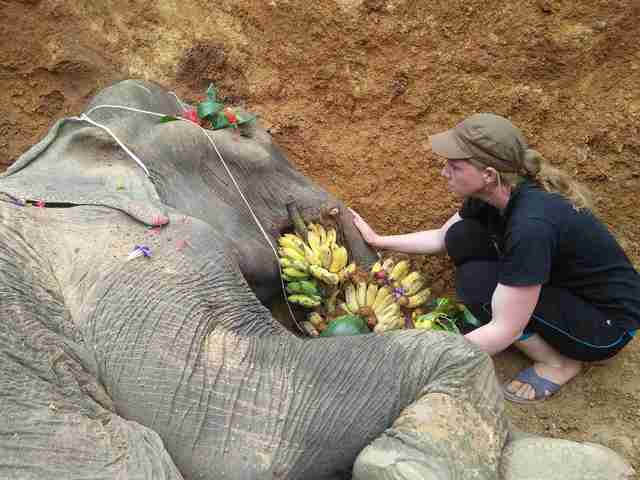 She enjoyed spending her days dusting and mud bathing and doing all things elephants should do." While Mae Mor's spirit lifted, her health was still in poor condition after so many years of untreated wounds and malnutrition. On August 30, Mae Mor laid down to rest in the early morning. 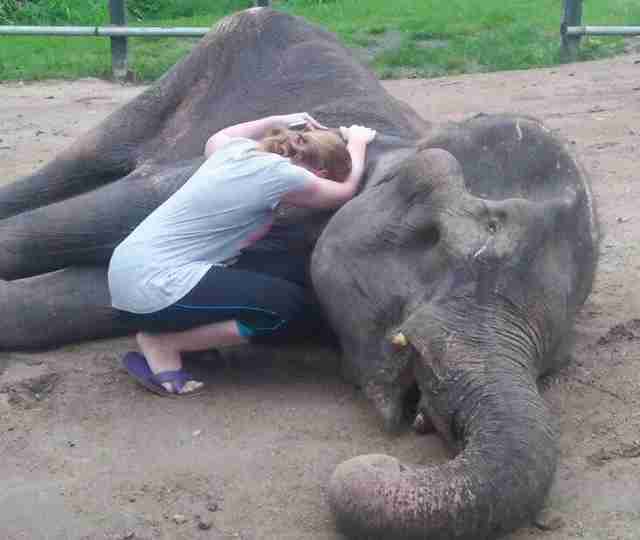 "She closed her eyes as she lay in the soft sand bed of her night enclosure," McWilliam wrote. "She drifted off into a heavy sleep." 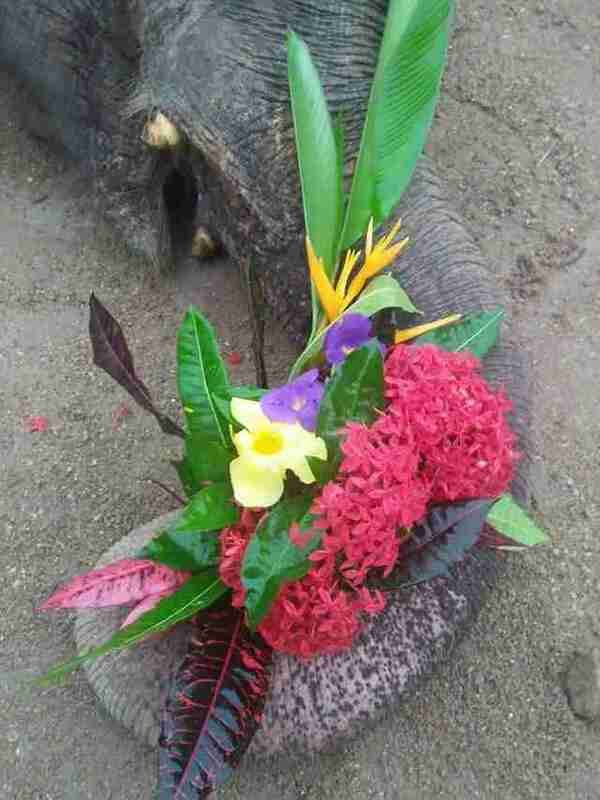 Mae Mor's rescuers gave the elderly elephant a beautiful farewell, complete with flowers and bananas, which they laid in her grave. "It's taken me a few days to come to terms with the fact that I won't get to wake up and see her everyday," McWilliam told The Dodo. "It was so hard to find the words to share with the world that she has moved on. We couldn't leave her to perish. We are so blessed to have the time we did get with her." 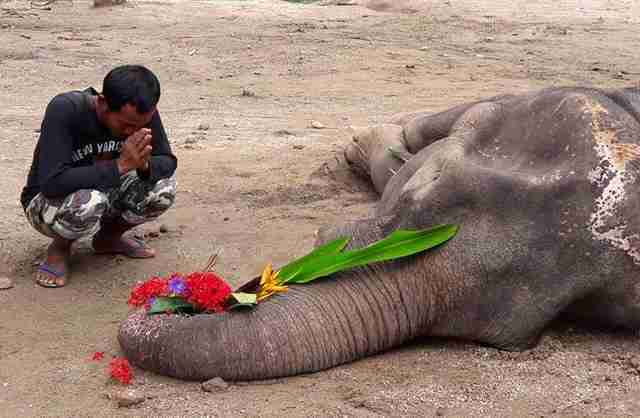 You can help BEES give more elephants like Mae Mor the lives they truly deserve by making a donation.